The Nigerian government says it will negotiate for the release of 110 abducted schoolgirls rather than use military force. 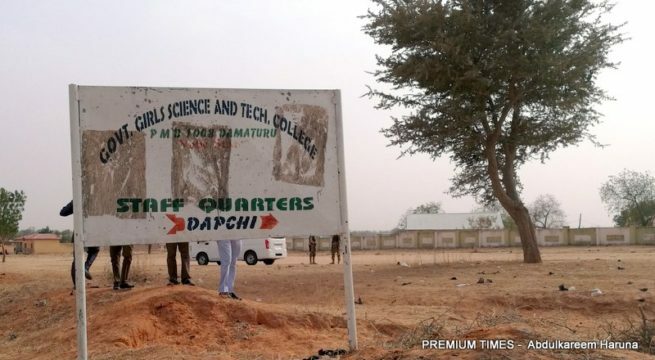 The students were seized last month from their school in the town of Dapchi by the militant group Boko Haram. However, the Nigerian authorities know that sending troops and aircraft in pursuit of the jihadists holding the abducted school girls is an extremely risky strategy. President Muhammadu Buhari said the government had chosen negotiation over the military option and Nigeria was working with international organisations and negotiators to ensure that the girls were released unharmed by their captors. Negotiations have been partially successful before. Dozens of the Chibok school girls were freed in exchange for the release of Boko Haram prisoners. The government denied a ransom was paid. More than 100 schoolgirls are still missing four years after they were abducted from Chibok secondary school.